About Us | United Country Smith & Associates, Inc.
UCRE | Smith & Associates is a top 1% office in the nation, ranked #5 out of 500 offices, with the largest real estate company nationwide focused on lifestyle, small city, country, rural, land and other lifestyle property. We have served the areas surrounding Gainesville for decades including Trenton, Newberry, Chiefland and the other small cities and towns here in North Central Florida. Many on the team are natives of the area and cities we serve. We have an expertise and passion for the properties we represent and a commitment to provide unmatched serve to each of our clients. 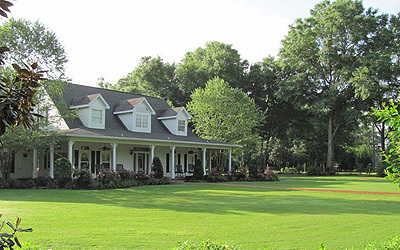 The team consist of experts in riverfront, coastal, farm, ranches, timberland, country homes and other special properties found in and around Gainesville. We service both sellers and buyers and provide our extensive knowledge of the area and properties we represent. This is a gorgeous region full of gently rolling hills dominated by magnolia trees and live oak hammocks draped with lovely Spanish Moss. Gainesville is the largest city in the region, and the home of the University of Florida, Gainesville. It serves as the commercial and cultural hub of North Central Florida. If you're ready to learn more about the benefits of living in North Central Florida, contact us today. We'll be happy to give you more information about the homes for sale in Trenton, Newberry, Chiefland and the surrounding area properties near Gainesville we currently have available. Whatever your real-estate dreams may be, we'll help make them into reality. You're invited to contact United Country Smith & Associates, Inc., of Trenton, Newberry & Chiefland Florida, to save you time and money in locating property for sale throughout Gilchrist, Dixie, Alachua and Levy Counties in North Central Florida area. We offer a large selection of homes for sale, land, waterfront property and recreational (coastal, riverfront, hunting and fishing) property.